Fed vs. ECB: towards a stronger decoupling of monetary policies? US and European economies both continue to expand but at different paces. While US growth will likely pick up this year, boosted by an expansionist fiscal policy, the Eurozone cycle probably peaked last year. What effect could this have on the Fed and ECB monetary policies? How are “global risks” (protectionism, geopolitical risks) likely to play? After setting out some thoughts on the new constraints facing central banks we argue that looming global risks could push the Fed to hike interest rates further and the ECB to hang fire for longer, posing risks to the normalisation of its monetary policy. US and European economies both continue to expand but at different rates. While the US economy will likely accelerate this year, boosted by fiscal policy, the Eurozone cycle probably peaked last year. So, how will the cyclical gap between the US and the Eurozone play into the decoupling of monetary policies? And how will the ECB and Fed set monetary policy this year and next? How will they factor in “global risks”? Can the ECB still normalise its monetary policy? Investors are mulling these questions and the answers they come up with will have an impact on financial markets. The Eurozone as a whole is lagging the US. It is still at mid-cycle while the US economy is operating at full employment. In the US, the recovery has continued unabated since mid-2009. In the Eurozone, the current cycle took 4 years longer to get under way (Q2 2013) and at the end of the day GDP growth was slower than in the US. As a result, the peripheral economies, hardest hit by the sovereign debt crisis, are still a long way off full employment. Inflationary pressures, which we are starting to see in the US, are still not coming through in the Eurozone. Subsequently, there is no surprise to see a 3-4 year lag between the Fed and ECB policies. When will the cycle end? All eyes are on the US. The US economy was the first to get back on its feet and the Fed was the first central bank to start normalising its monetary policy, with an initial hike in December 2015. In the US, the current cycle is set to become the longest in American history1. And nothing suggests it is nearing its end, as yet. We are not yet seeing signs of overheating and, unlike in the 1990s, we have not seen an overinvestment from companies. They are still building up capacity in response to rising demand. Economic cycles are not dying of old age. However, as time wears on, they can run into certain imbalances, particularly with a build-up of debt (from governments, non-financial corporates and households). In the US, Trump’s fiscal policy has set public sector debt on an unsustainable path. We forecast the public budget deficit at over 5% of GDP in 2018 and 2019. Also, companies have taken advantage of extremely low rates in recent years to releverage themselves. It would only take a sudden and brutal rise in interest rates to derail the recovery. In the Eurozone, in contrast, public finances are gradually improving. Debt-to-GDP ratios are stable or falling. But bear in mind that interest payments are under control because growth is relatively strong and interest rates are low. And rates are low because the ECB has maintained its QE (helped too by negative short-term rates). Should these rates rise a little too fast, the recovery would stop. The fear is not so much the economic cycle itself as the financial impact on the real economy from poorly calibrated monetary policies (or from a financial crisis). Central banks were already in uncharted territory and their job has now become a lot harder, for at least 4 reasons: 1) Trend inflation has fallen to the point where it is running below central bank targets, making usual reaction functions (such as the Taylor rule) ineffective. 2) Lower potential growth means a lower equilibrium interest rate (central banks have less need to raise rates to neutralise their monetary policy). 3) Higher public and private debt makes economies potentially more sensitive to rising rates. 4) The excess of “central bank liquidity” tends to inflate asset prices (both financial and real estate assets), raising the spectre of a bubble. In a cyclical upswing, even without inflation, it is clear that central banks need to remove excessive accommodation to head off the danger of asset price bubbles. But how fast should they act? The reaction function of central banks has become inderterminate. Central banks are sensitive to financial conditions insofar as these affect global demand. However, monetary and financial conditions also partly depend on the monetary policy that central banks pursue. This feedback between monetary policy and market conditions is further complicated by a lack of certainty when it comes to measuring either, the equilibrium interest rate, potential growth and trend inflation. With the weakening of the relationship between growth and inflation (partly due to the flattening of the Phillips curve) central banks have literally lost their bearings. Specifically, if goods and services inflation remains below target at the peak of the cycle, should central banks start worrying about what an overly low interest rate might do to financial stability? And if so, to what extent? In addition, QEs have blurred the boundary between fiscal and monetary policy. Debt service would become an issue for borrowers if interest rates rose too sharply. Which means that, looking forward, the accumulation of debt will force central banks to impose a kind of financial repression, i.e. keep real interest rates low to preserve the sustainability of public finances. In these circumstances, asset purchases have become a standard tool in the central banks’ toolbox. It remains to be seen however how long such policies will be compatible with price stability. One way or another, these very general questions are at the crux of the monetary policy debate in the US and Eurozone alike. Aware of the potentially catastrophic impact of a bond crash, they are promising to reel in excess monetary accommodation little by little. The idea is to persuade investors gradually to revise their interest rate expectations without triggering financial turbulence. But such gradualism on the part of central banks is still ambiguous. Several Fed members, for instance, consider that raising rates by 25bp each quarter would still be gradual. Market players are still a long way from pricing in such a pace of tightening. Many doubt the Fed will even follow the dots, which are less aggressive. The uncertainties are legion. Doubts hover over the continuation of the cycle, the return of inflation and financial stability. As for the ECB, where normalisation has not really started, we are as yet seeing no gap between the ECB’s intentions and market expectations. But there are legitimate questions about the ECB’s room for manoeuvre. With taxes being cut and public expenditure boosted, the US economy will be artificially boosted this year and next. But the “extra growth” will come at the price of a big leap in the budget deficit and public borrowing, adding to the financing needs of the US economy2. Fiscal expansion not only increases the risk of overheating (with the economy already at full employment) but also makes the economy more vulnerable to a downturn as fiscal policy will no longer act as a stabiliser. This makes it all the more essential to continue with monetary normalisation. First to avoid an inflationary surprise. Second, to restore some room for manoeuvre in case the Fed needs to run a counter-cyclical monetary policy. In other words, monetary policy should be used to neutralise the currently over-accommodative policy mix3. particularly regarding inflationary pressures. In these circumstances, the Fed would probably want to offset any inflation surprise with an equivalent interest rate rise, so as to neutralise the impact on real interest rates. For the ECB, the end of its asset purchase program (APP) and the end of negative rates are in view. The consensus is expecting the APP to end by the end of the year (at the latest) with a first rise in the deposit rate around mid-2019. And the ECB is doing its utmost, in its communication, to confirm these expectations. “Patience, prudence and persistence” are the watchwords. Despite a sustained recovery – growth reached 2.5% in 2017, its highest since 2007 core inflation is showing no signs of acceleration rising. Against this backdrop, the ECB’s diagnosis is clear. It must maintain highly accommodative monetary conditions for an extended period of time to bring inflation back to its medium-term target. In other words, the ECB prefers to take the (low) risk of a (premature) acceleration in inflation than to risk cutting short the cyclical upswing. Recent signs of a weakening Eurozone economy (surveys, slowing industrial output and retail sales in Germany) would tend to confirm the ECB in its approach. Remember that unlike the US, the Eurozone has almost no fiscal lever (i.e. no cushion) it can pull in the event of a monetary policy mistake. And there is an additional argument for the ECB’s position. The possible consequences of the Fed’s policy on global monetary and financial conditions cannot be ignored. The ECB is worried about tightening financial conditions too early given the current US policy mix, including the threat of contagion from the rise in US rates. This could be particularly counter-productive in a period where the Eurozone economy is going through a soft patch. We see two global risks at the moment. First, there is the risk of protectionism, with Trump’s tariff hikes generating retaliation from the EU and China. Second, there is geopolitical risk in the Middle East, with its knock-on effects on oil prices. Both cases threaten to boost inflation in the US but to slow the economy in the Eurozone. Rising oil price4. In the US the rise in the price of crude would feed through to inflation faster than in the Eurozone, as full employment in the US means employees can demand compensatory wage rises. Remember, though, that in the age of shale gas a rise in the oil price should boost output further. The situation is very different for the Eurozone, a net oil importer. 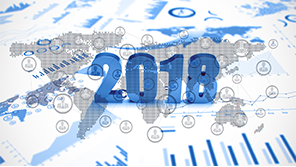 Growth would be harder hit as rising oil prices would erode household’s buying power and company margins; and at the end of the day, the inflationary impact would be short-lived. Trade war. Higher customs tariffs on imports to the US could push up local prices. In the Eurozone, conversely, the effect would be to sap confidence and potentially curtail corporate investment. Business leaders in Europe declared their worries about Donald Trump’s mooted protectionist measures. Meanwhile, in the US, threats of retaliation by the EU and China have barely dented business confidence. In these circumstances, these two global risks would be viewed differently on either side of the Atlantic. The Fed would see a rise in oil prices and/or a customs tariffs as threatening to push up nominal GDP (with little impact on real growth but some effect on inflation). The ECB, however, would see them as putting downward pressure on nominal GDP, with a negative impact on real growth, but little inflationary impact. United States: towards a recession? GDP stagnated in the first quarter of 2015. The weather does not explain the entire situation. 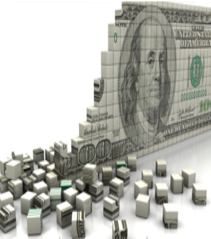 The dollar’s appreciation has an impact on activity that is comparable to a tightening of monetary conditions. Should we fear the end of the cycle? In terms of profi ts, yes, but in terms of economic activity, it is still premature. “Helicopter money”: what does this refer to? Central banks (CB) are now noting the limited effectiveness of their quantitative easing (QE) policies. 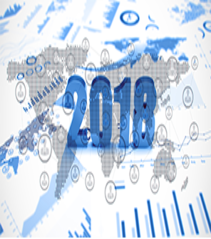 The risks related to negative interest rates (destabilisation of the banking system, increase in household savings) are increasingly being taken into consideration. 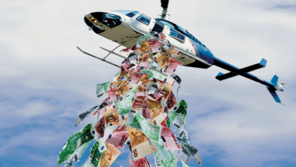 Recourse to “helicopter money” - a reference to the still-famous Milton Friedman parable – has returned to centre stage. 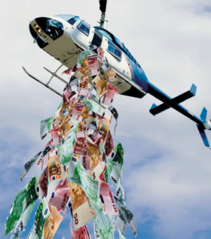 What is helicopter money and how is it different from existing quantitative easing programmes? And how could it potentially be more effective? Global economic conditions are benign thanks to a highly accommodative monetary and financial environment while trade multipliers magnified the re-synchronisation of the global cycle, the recovery in global investments and corporate profits (and specifically EPS momentum). The weak relationship between growth and inflation marks this cycle as unique.